– Seven-year-old Japanese girl Haruka Masuda after finishing the very hot and humid Honolulu Marathon in 7:41:45. 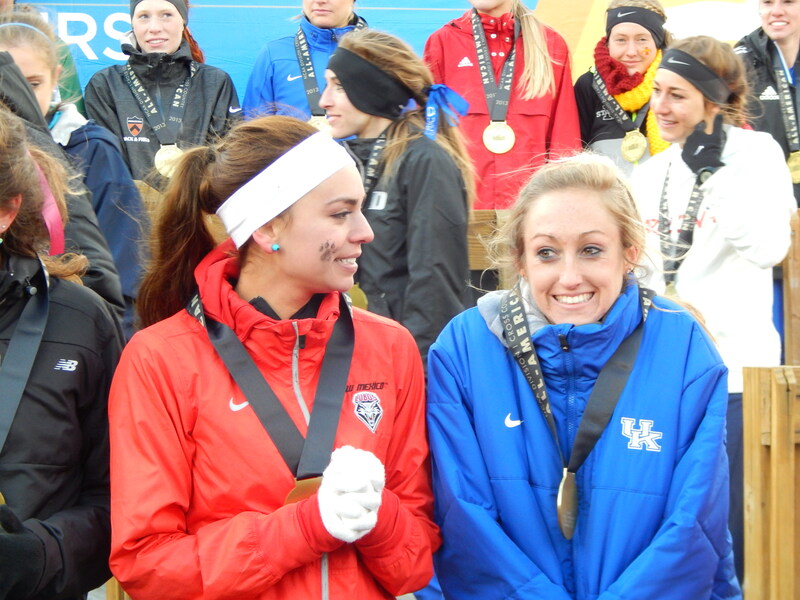 Could a high school girls dream team have won ncaas? 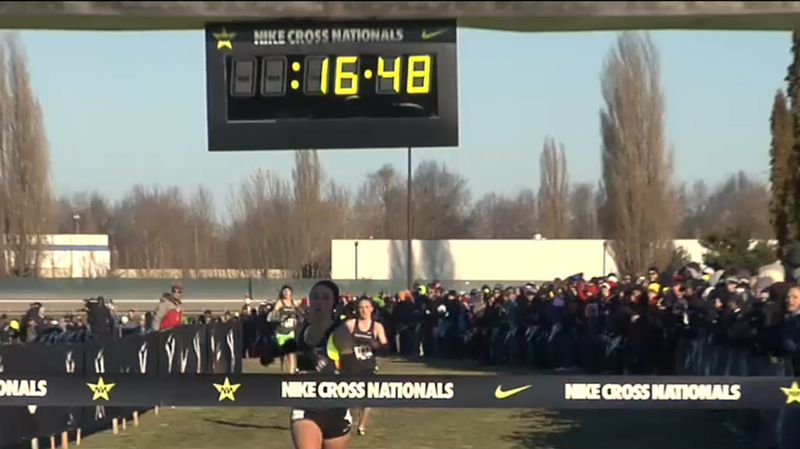 How much would Mary Cain have won by today? 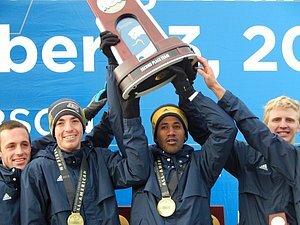 Anyone else get a kick out of Wieczorek getting the team trophy wearing a big Brooks headband? 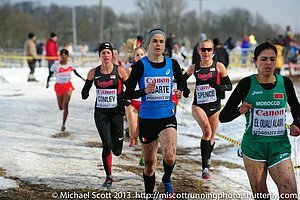 Alexa Efraimson appeared to be dropped, but battled back with a great kick the final 400m to kick past Elise Cranny and Sarah Baxter to win. 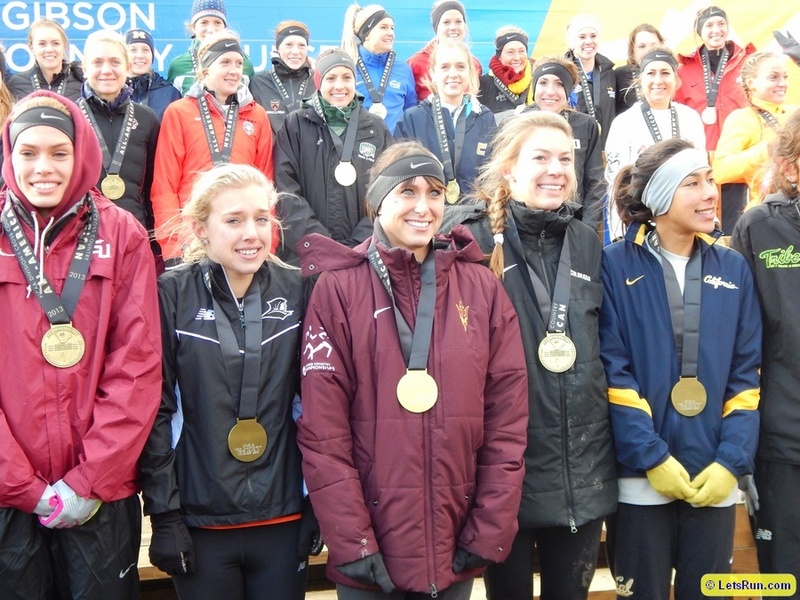 Baxter ended her high school XC career with her only loss as the Fayetteville-Manlius amazing streak of 7 national team titles ended with a runner-up finish to Wayzata. Kai Wilmot of North Spokane won the individual title in 15:00 as 5 others finished in a close battle for 2nd, as Wilmot’s teammate Tanner Anderson was third. Wilmot’s a big talent who ran 8:57 2 years ago as a soph, but has been battling injures since. He was 4th at his state meet this year and picked the perfect time to put it all together. In the team competition, Gig Harbor, coached by 1:45:36 800m man Mark Wieczorek and 800m pacer Matt Scherer, got the win over CBA NJ. 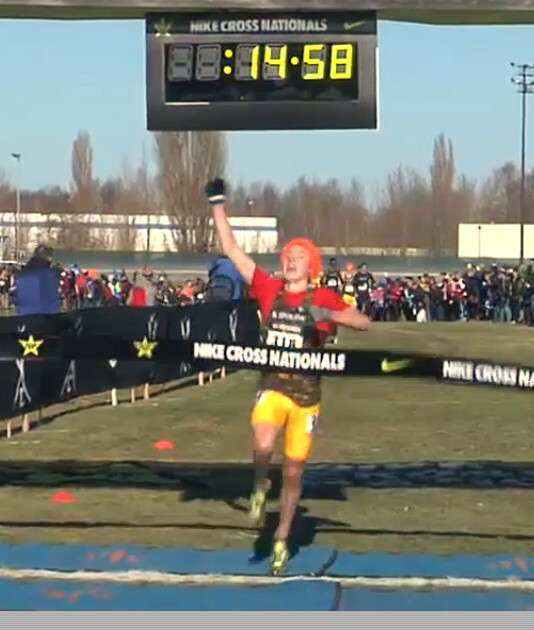 *DyeStat’s NXN By The Numbers Some interesting stats from NXN. Pittsburgh Penguins co-owner Ron Burkle paid the highest ever price for a piece of Olympic memorabilia. The medal will be part of an educational tour of historical pieces organized by Burkle. The team will be announced after the World Cup race in Igles, Austria on Jan. 19. UK's World 400m Champ Christine Ohuruogu: "I find myself apologising to people who are like, you gave me a heart attack"
Her family and friends have a tough time watching her races as they're usually so close, but the one in Moscow she only one by four thousandths of a second (0.004) over Amantle Montsho. 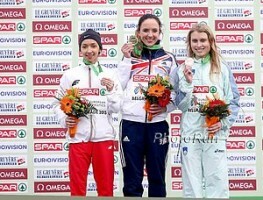 Spain’s Alemayehu Bezabeh And France’s Sophie Duarte Claim European Cross-Country Titles GB’s Gemma Steel was 2nd woman while Ireland’s two-time reigning champion Fionnuala Britton was only 4th. 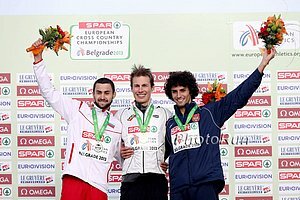 Spain won the men’s team competition while Great Britain won for the women. 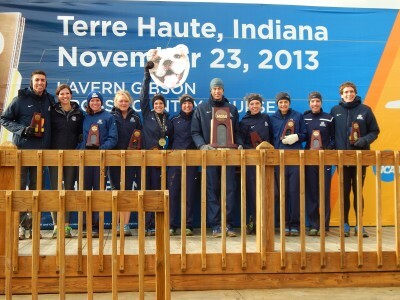 In the Under-23 race Iona’s NCAA 3rd placer Kate Avery was 4th. 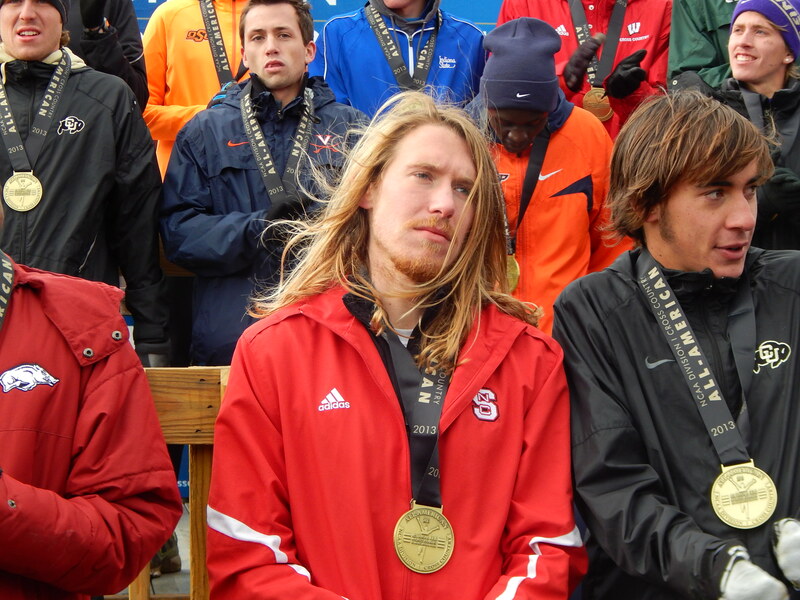 Oklahoma State’s Tom Farrell was 12th in the men’s senior race. 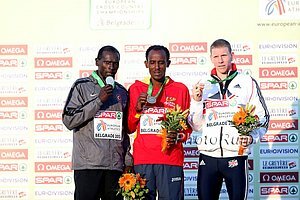 InsideTheGames Headline: Spanish Drug Cheat Alemayehu Bezabeh Wins European Cross-Country Title By Biggest Margin In 9 Years (21 Seconds) Bezabeh recently returned from a drug suspension after being implicated in Operación Galgo. Kiros won in 2:36:02 and Chepkwony 2:18:47 in the very humid conditions. Martin Lel made it to 30K with the lead pack, but then struggled, finishing in 2:21,and said, "There is something wrong" while rubbing his lower back and hip on his left side. 7-Year-Old Japanese Girl Finishes Honolulu Marathon In 7:41:45, Saying "That Was Fun"
Weldon Kirui won the men's race in 2:14:34 as Scott Smith was the first American in 4th (2:16:04). Becky Wade won the women's race in 2:30:41. 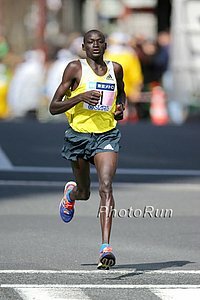 Togom is the younger son of Kenya's first World Cross-Country medalist, the late Some Muge, and Ongori is the 2009 World Half silver medalist. Women finalists are Bianna Rollins, Brigetta Barrett, Kori Carter and Derek Drouin, Lawi Lalang and Julian Wruck for the men. 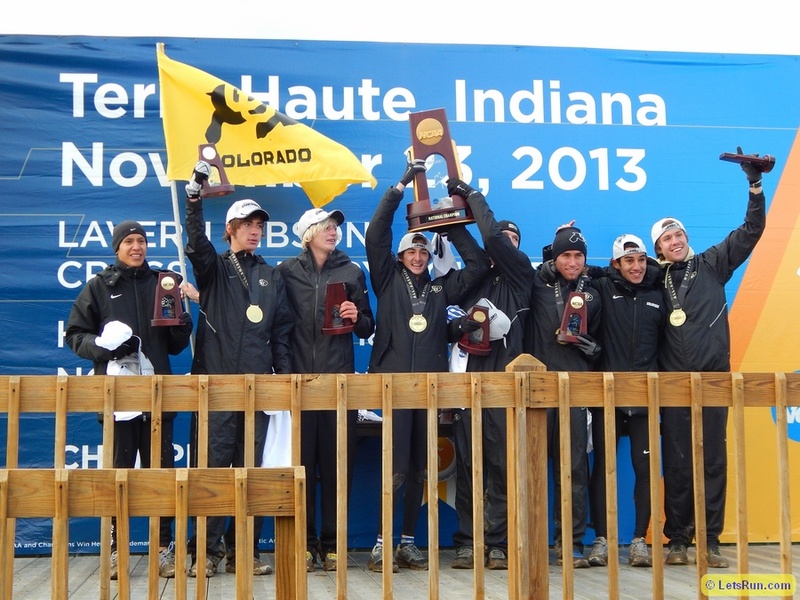 Can the Bulldogs return to the podium in 2014? NAU All-American Matt Mcelroy put together this profile piece on Arciniaga who trains full-time at altitude in Flagstaff. Abdi pulled out with a knee injury. 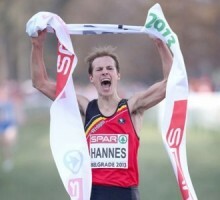 LRC An Incredible Half Marathon Will Take Place Next Weekend In India At The 2013 Airtel Delhi Half Marathon Jos Hermens has brought together a ridiculous field with 11-sub 60 men, including Dennis Kimetto, and 13 sub-70 women.